Any Nebraska county wanting to host a wind energy facility would be required to develop zoning ordinances to regulate its construction under a bill considered Jan. 31 by the Government, Military and Veterans Affairs Committee. 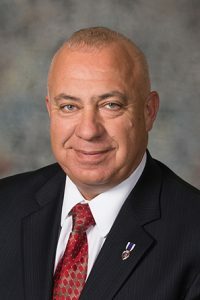 Under LB373, introduced by Sen. Tom Brewer of Gordon, counties would be required to pass zoning ordinances regulating how far turbines must be set back from the edge of a property, noise emission and decommissioning of wind energy facilities. The bill would require counties to follow a three-mile setback standard from any residence until July 1, 2021, when zoning ordinances would have to be in place. The bill also would establish a civil cause of action for anyone who believes that the presence of a nearby wind farm has reduced his or her property value. Brewer said the bill was not intended to be anti-wind energy. Nebraska should not prohibit the building of wind turbines, he said, but the authority to regulate that process belongs at the county level. 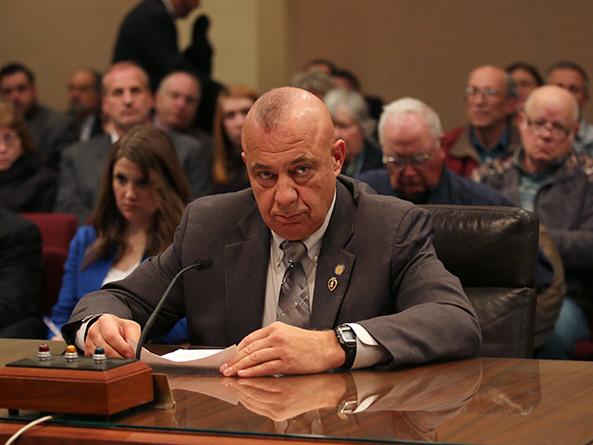 Terry Madson, a Nuckolls County resident, testified in favor of the bill. He said there are no zoning laws in Nuckolls County, opening the door to turbines being built anywhere. Also testifying in favor of the bill was Antelope County Commissioner Dean Smith. He said the state needs to require minimum standards for counties to follow in regulating wind energy projects. Amy Ballagh, a resident of Garfield County, also spoke in favor of LB373. She said property values in rural Nebraska often are based on the view one has from a property—a view that can be obstructed by wind turbines. Speaking against the bill was Mark Walter of Tradewind Energy, a company with one completed wind farm in Nebraska and a second in development. Walter said the three-mile setback, which he called “the most burdensome setback provision in the country,” would effectively end wind energy development in the state. Elaine Menzel of the Nebraska Association of County Officials testified against LB373. She said 83 of Nebraska’s counties currently regulate wind turbines, and that ample opportunity for public input already exists at county board meetings. Director of Holt County Development, Darby Paxton, said wind turbine development near O’Neill has increased sales tax revenue as well as property values. He testified against the bill, which he said could hurt local economies. “Not only did [the construction of a wind farm] create 25 new jobs, but it’s why O’Neill Community Schools were able to expand with a $13 million project without a bond,” Paxton said. David Cary, director of the Lincoln/Lancaster County Planning Department, also spoke against the bill. Cary said Lancaster County recently adopted zoning regulations for wind farms that would have to change to comply with LB373.